You heard right, Pals. 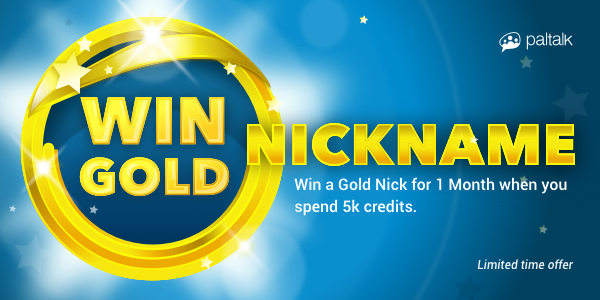 Top Gifters are eligible to win a 1 Month Gold Nickname, exclusively available via this promotion! Simply send any number of gifts worth a total of 5k credits or more between Monday, 16 July 2018 12pm ET and Friday, 20 July 2018 12pm ET to win. Your generosity brings joy to all of your Pals, and you deserve to shine bright in gold. Exclusively available during this promotion, you won't want to miss out on this awesome bonus. Limited time only. Grab yours now. Hurry, Pals! Take advantage of this special offer and get your gifting in now. Plus, enjoy new Sticker Packs and Gifts available in the Virtual Gift Store.